Nizoral shampoo with ketoconazole 2% is an effective treatment for dandruff and seborrheic dermatitis, which also has evidence to support it use in the management of hair loss. 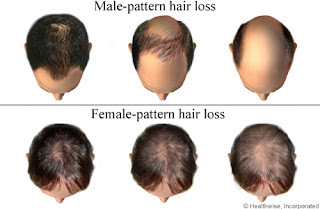 Nizoral shampoo 2% ketoconazole and hair loss. A letter published in the Journal of Dermatological Science demonstrated that 50% of individuals who used a 2% ketoconazole shampoo experienced hair regrowth demonstrating evidence of the clinical efficacy of ketoconazole for androgenic alopecia (male pattern baldness). Nizoral shampoo with 2% ketoconazole is maximum strength to address P. ovale, a fungus found on healthy scalps that can lead to dandruff. P. ovale accelerates the natural process of scalp renewal causing dead cells to fall off faster leading to itching, flaking and scaling. Nizoral shampoo kills the P. ovale fungus keeping dandruff in check. Use Nizoral shampoo twice each week. For the first 2-4 weeks: Use NIZORAL* Shampoo twice weekly to help eliminate dandruff. Wet hair. Apply 1 to 2 teaspoons to your scalp. Work into lather. For best results, leave on for 3 to 5 minutes. Rinse thoroughly. Ketoconazole is the active ingredient that fights yeast often associated with dandruff. Nizoral is regularly recommended for the treatment of Rosacea and Seborrheic dermatitis. For external use only. As with other shampoos, avoid contact with eyes. If you are using a corticosteroid on the scalp talk to your doctor before using NIZORAL* Shampoo. Irritation, redness or a burning sensation on the scalp may occur. If persistent, discontinue use and talk to your doctor.. Do not use on wounds or damaged skin. Not recommended for children under 12 and pregnant or nursing women, except on the advice of a doctor. Although rare, oily or dry hair or discoloration of grey, tinted or permed hair has occasionally been reported. Also, hair shedding, often associated with dandruff, may still be noticeable even when NIZORAL* Shampoo is used. If itching and flaking persist, consult your doctor or pharmacist.